You know what? I really LOVE cookies of all varieties and tis the season for lots of cookies. I find myself getting more and more creative in this type of baking, gluten free vegan that is. I want to thank each one of you who come to this blog looking for recipes, I enjoy creating tasty treats that others can also enjoy. Today the weather here is so windy I just hope I can finish this post before the power decides to go out, with the kids at school and hubby at work the house is amazingly quiet this morning with the exception of the cat snoring, yes I said the cat is snoring. LOL! In a stand mixer add shortening and sugar. Cream mixture and scrape the sides of the bowl. Slowly add maple syrup, milk, and vanilla. Add gluten free flour, baking soda, sea salt, and cream of tarter and cream until ingredients come together. Refrigerate at least two hours. Using a small cookie scooper make dough balls and roll in cane sugar and cinnamon to coat. 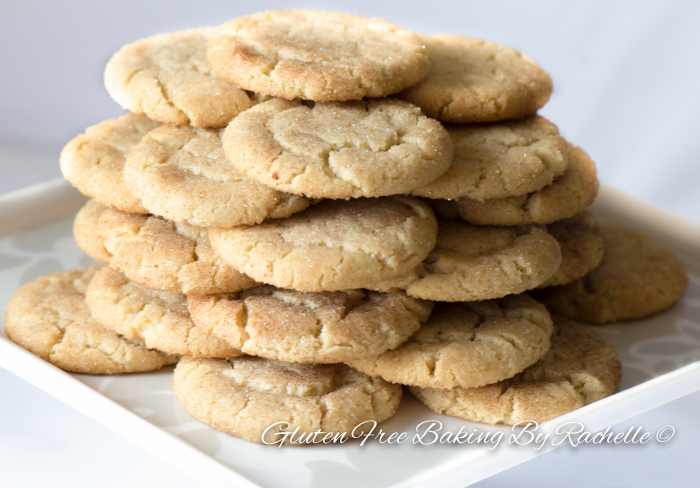 Place cookies on silpat or parchment lined cookie sheet. Leave on cookie sheet to cool for 5 minutes, then remove them to a wire rack to finish cooling. 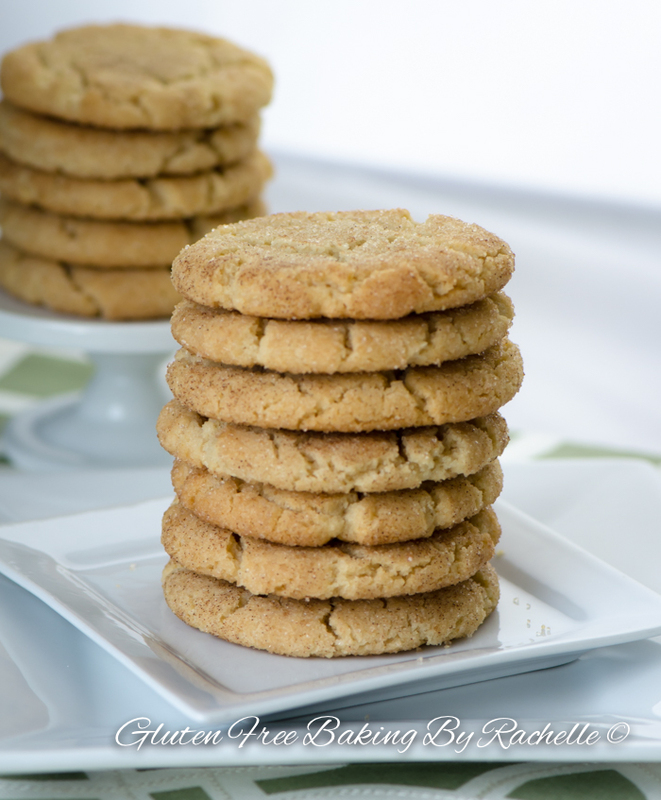 I made these last night with Bob's Redmill gf baking flour and they are wonderful! Thank you so much! Really Nice Post.Thanks For Sharing.Divine Bakery store provides delicious, moist, Gluten free baking mix; Bake at home Preservative, Celiac disease free and pure quality ingredients products.